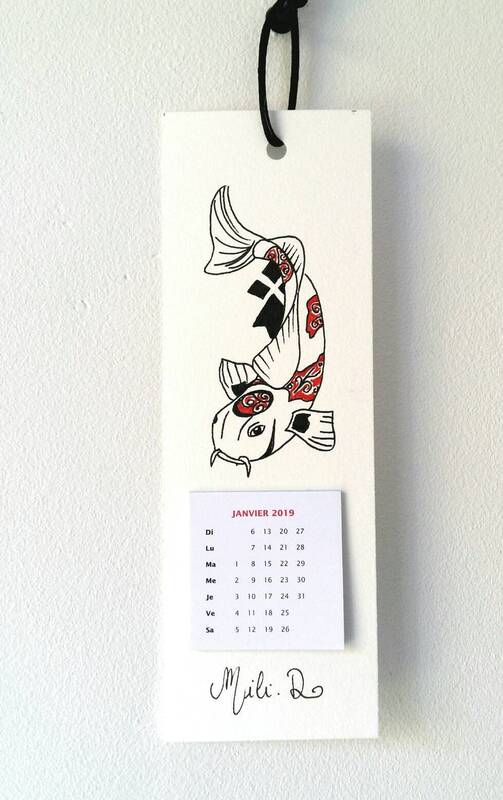 All the tenderness of a pretty Asian fish to start the new year. 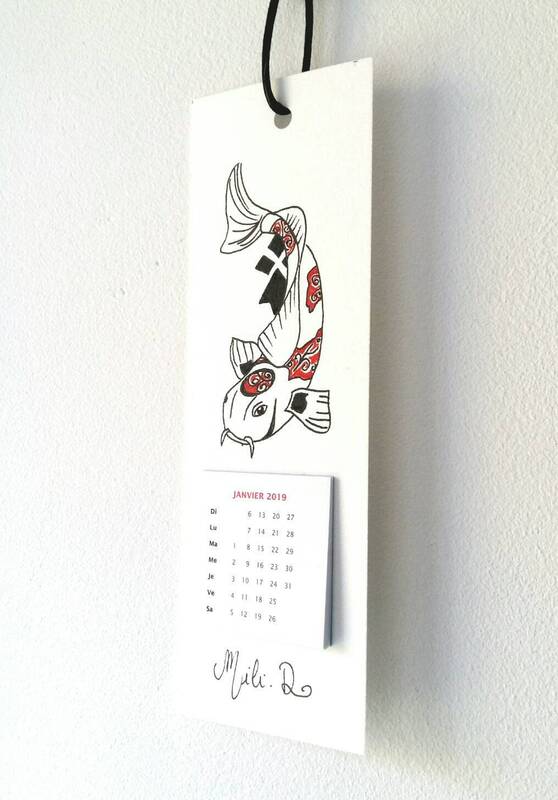 This is an original gift idea for Christmas, for lovers of koi fish or to offer. 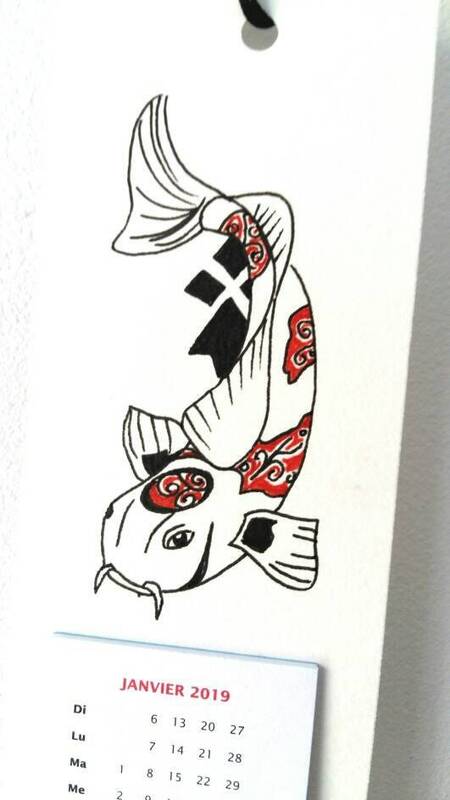 The illustration of the fish is hand painted by artist Mili.D. The format is unique since it has the dimensions of a bookmark. 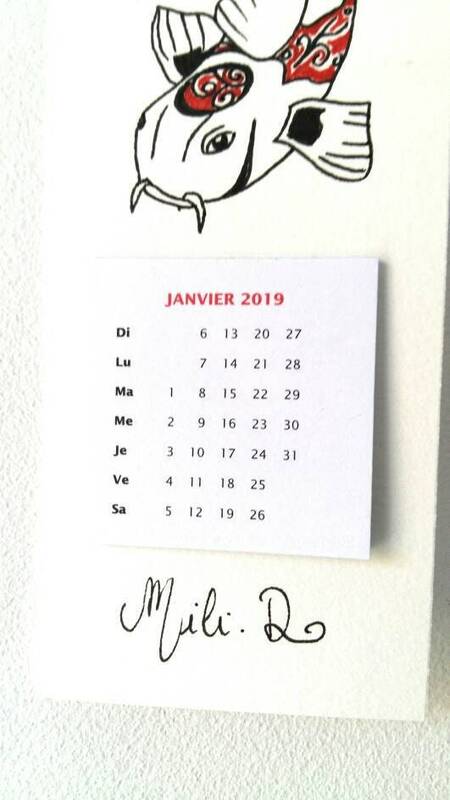 The calendar is pasted on the illustration, on watercolor paper. 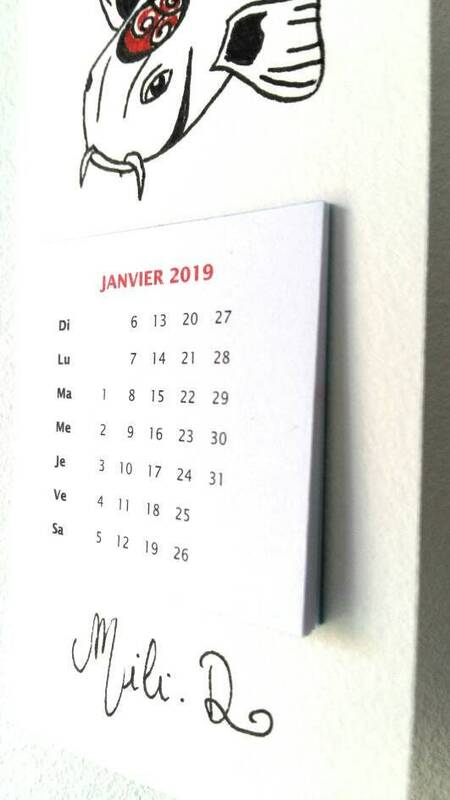 Thanks to the black cord, this bookmark calendar is held on a hook above a desk. 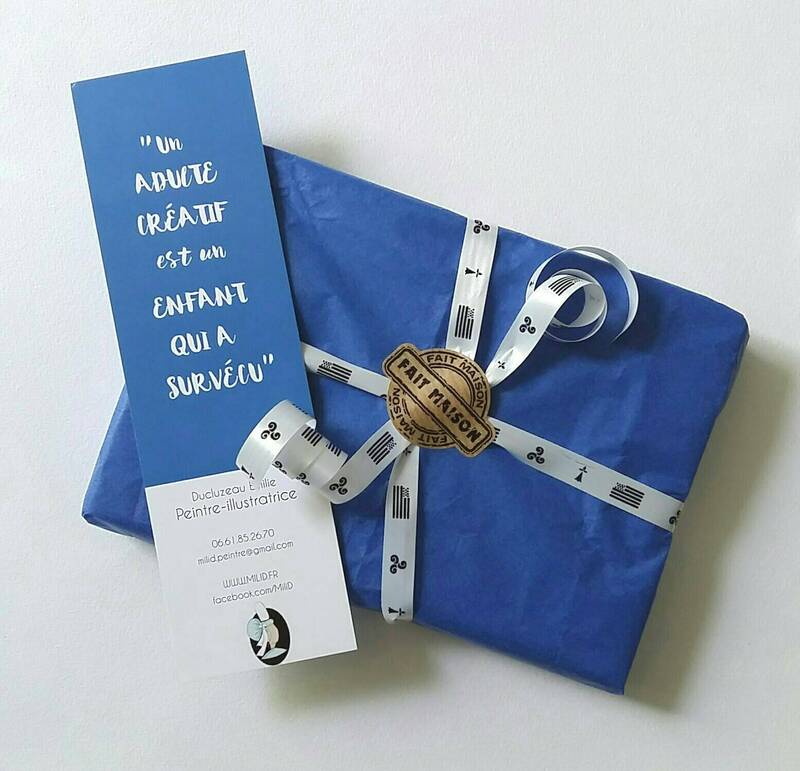 Fast and neat delivery from 0.80 € for France.